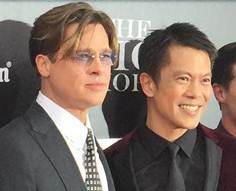 Talented actor Byron Mann, known for his railroad mercenary role as Chang in AMC’s “Hell On Wheels” recently appeared in the Paramount Pictures comedy-drama “The Big Short”, directed and co-written by Adam McKay. In the film, Bryon Mann plays the role as Mr. Chau, a CDO fund manager, alongside Brad Pitt, Steve Carell, Christian Bale and Ryan Gosling. Consciousness Magazine was granted the opportunity to interview Byron Mann regarding his role in the film “The Big Short”, his acting career and much more. Here is what he has to share with the readers. Aaron Robinson: Can you tell us a little about your role as Mr. Chau in the recent film “The Big Short”? Byron Mann: He’s based on a real-life bond manager during [the year] 2006-2008, that had the world’s largest portfolio of a certain subprime mortgage product called CDO's (Collateralized Debt Obligations). Some of the characters in the film, particularly the one played by Steve Carell, look me up to find out how these products work and their impact on the economy. Aaron: You have played many acting roles in your career. What did you like most about playing the role of Mr. Chau? Byron: [I like] that I got to work with Steve Carell and director Adam McKay. That’s pretty much the truth. Aaron: You worked alongside some of the most talented actors in the film industry such as Brad Pitt, Steve Carell, Christian Bale and Ryan Gosling. What was that experience like? Byron: I mainly worked with Carell. There was a lot of improvisation and eating involved when we were filming. 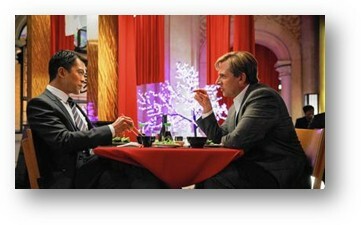 The real characters were having their interaction over a Japanese teppanyaki dinner, so director McKay wanted to re-enact the whole thing. I ate a lot of Japanese food filming that scene. Aaron: Was there any positive or informal information, tips, etc., that any of the actors shared with you that may stick with you for the rest of your life and/or career? Byron: Not on this shoot. Carell and my character were strangers going into the scene so we pretty much kept it that way throughout the shoot. Aaron: What was your influence or inspiration for getting into acting? Byron: I got into acting because I couldn’t think of anything else to do that was as exciting. In fact, I was running out of ideas and acting seemed like the most interesting option. Now that I’ve been in it for a while, what keeps me going is to be able to tell a really good story every time I act and to play a character that’s interesting and serves that story. Otherwise, it’s too hard to get out of bed for a 5am call. Aaron: Can your fans and viewers expect any new upcoming projects from you in the future? Byron: I guest starred in a few episodes of “Rush Hour” that will be coming out on CBS in March. I am also in negotiations on several projects both in the US and in China. Aaron: When it comes to acting, do you have any advice or words-of-encouragement that you would like to share for aspiring actors and actresses? Byron: Just act. That’s the only way to get better. And always trust your gut - it never lies. Aaron: Before we close the interview, would you like to add anything that was not mentioned? Byron: I update my projects on twitter: @byron_mann --- so you can keep track on what I’m doing there. Fitness expert Tony Little has inspired and motivated millions of people around the world to get in shape and live healthier. While continuing to make a positive difference in other people’s lives, many were unaware that he was faced with multiple adversities and horrific moments through out his personal life. 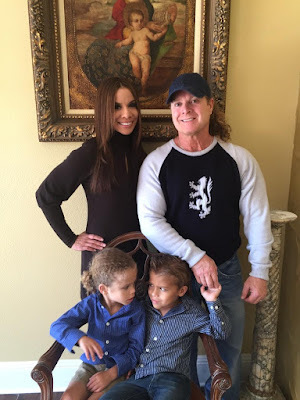 He would eventually overcome and survive four fatal car accidents, his struggle with prescription drugs and alcohol, owing millions of dollars to the IRS, and his biggest challenge of all, when he and his wife Melissa twin sons were born three-and-a-half months premature. Recently, Bishop George Bloomer teamed up with the Barnes & Noble in Durham, North Carolina to have a book signing. At the book signing, a percentage of the sales from his new book Break Loose were donated to the EastwayElementary School that is located in a disadvantaged neighborhood. Bishop George Bloomer is the founder and senior pastor of BethalFamilyWorshipCenter. 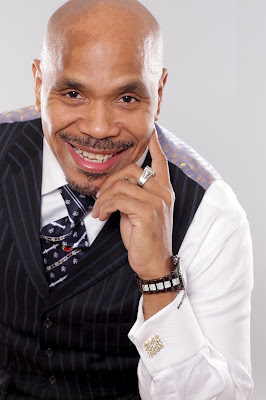 Bloomer is a bestselling author, renowned speaker, and entrepreneur, and is seen regularly on “Rejoice in The Word” on The Word Network. Here is one of his powerful and touching massages that he has to share with the readers regarding his new book, testimony and much more. About Consciousness Magazine Consciousness Magazine – “Urban Inspiration,” is committed to raising the level of consciousness of the residents in our community. The mission of Consciousness Magazine is to promote understanding, make a difference in society, touch hearts, as well as, emphasize positive celebrities and significant social figures through strong articles and compelling visuals. This publication embraces ethnicity and multiculture, in hopes of bringing different cultures together in peace and friendship. Become Aware Achieve Peace & Happiness!